This is a gift I love to make for people, and this season, some special nieces' new bedrooms. 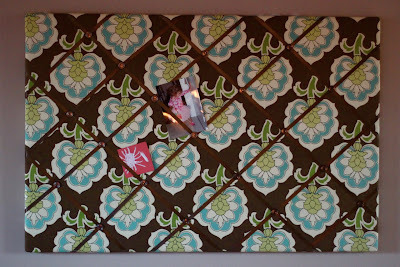 They are bulletin boards, but much more attractive than those cork ones. They can be hung in living areas, like the above board in my home, which I keep recent photos and invitations hung on. 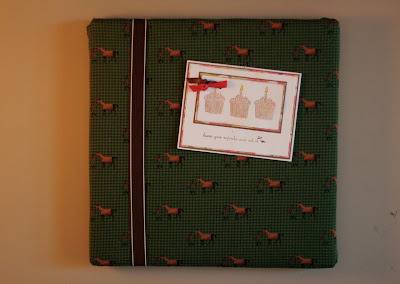 This variation uses ribbon and buttons to secure mementos. 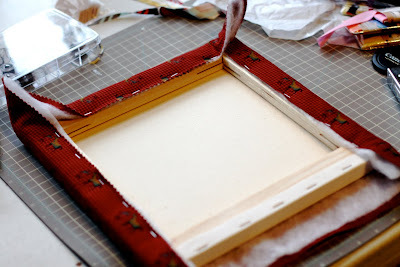 I'm going to show you how to make this more simplistic variation which I'm slightly partial to these days. 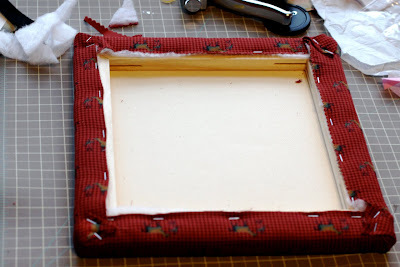 Place the fabric wrong side up, then the batting, then the canvas front squarely. Now you're looking at the back of the canvas. 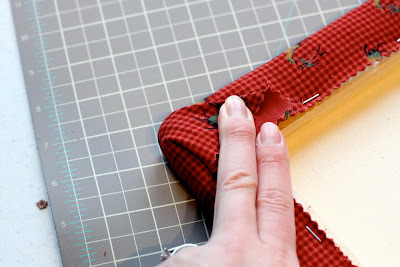 Begin stapling the length of one side, leaving about an inch from the corners. 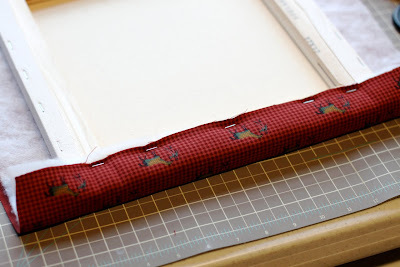 Continue around all four sides pulling the fabric taut before stapling. 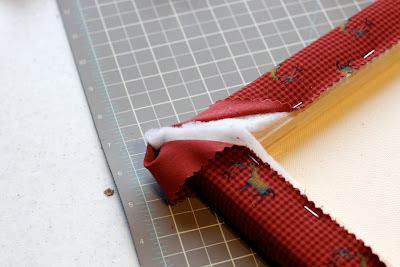 For the corners, peel back the fabric and snip off the excess batting. 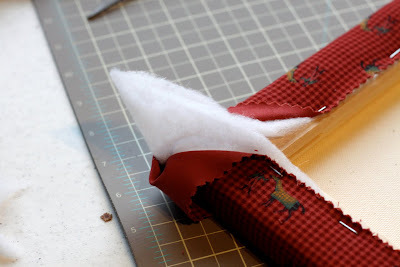 Pull the fabric taut and staple down the corner. There you have it: a great gift for any room of a house. 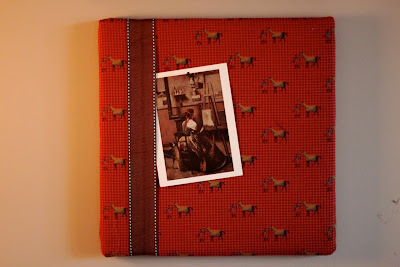 And children love these to keep photos, drawings, and little treasures.